I am a fan of Chettinad Cuisine and love the authentic spicy taste very much. 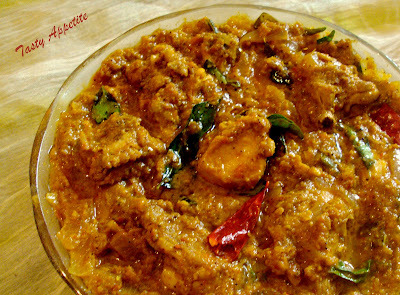 Chicken Chettinad is a delicious and very popular dish in almost all Indian Non Veg restaurants. I tried this yesterday, when we had invited our friends for dinner. And it turned out awesome..! In this recipe, the chicken is cooked with spices and tastes great with parathas, naan, roti, chapathi or even plain boiled rice. 2. Heat a tsp of oil in a fry pan. 3. Add cumin, cloves, cinnamon, saunf, cardamom, red chillies, grated coconut , coriander seeds and sauté till nice aroma comes out. 4. Allow to cool and make a paste of it adding ginger and garlic. 5. Heat oil and fry chopped onion pieces. 6. Sauté till it turns light brown. 7. Add curry leaves, turmeric pwd, salt and ground masala paste. 9. Add tomato puree and stir well. 10. Allow to cook for 2 mins. 11. Now add chicken pieces fry for a minute. 12. Add 1 cup water and cook the chicken covered in medium heat. 13. Cook till chicken is tender. 15. Remove from flame once the desired gravy has attained. 17. Enjoy chicken chettinad hot with chapattis, roti or naan. Asathiteenga...parkave super..sapta mm......congrats for your awards.. This looks so delicious! Must be really yummy with all the spices and flavours. Thank you for sharing this awesome dish! Looks so thick and tempting..Slurp !! Btw,congrated on your awards ..
Jay this looks absolutely delicious and I love the colour of this dish - the list of ingredients is a spice dreamers dream come true. I write a blog too - this dessert I posted today would compliment this very much I think! Look forward to reading more of your recipes. Tempting and drool worthy curry,looks fabulous. Hello, Feeling Food, nice to see you here..! thenks dear..
Slurp !Slurp! Already drooling over such a nice looking delicious and spicy chicken dish. Wow...those pictures are so tempting. All chettinad recipes are special. thanks for sharing this mouth watering chicken..
slurrp..mouthwatering recipe!! congrats on ur awards dear!! 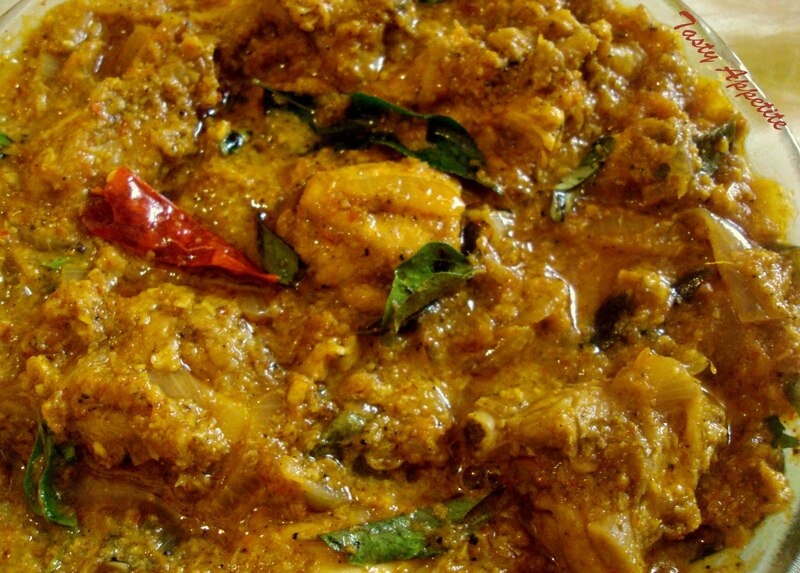 Slurp,fingerlicking and truly tempting chettinad chicken dish...inviting! Congrats on your award, Jay..Chicken chettinad is my fav..This looks very tempting! 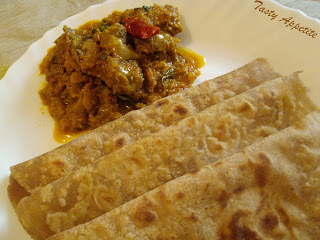 Bookmarked recipe.Love the chicken curry and it has lot of flavours and taste. 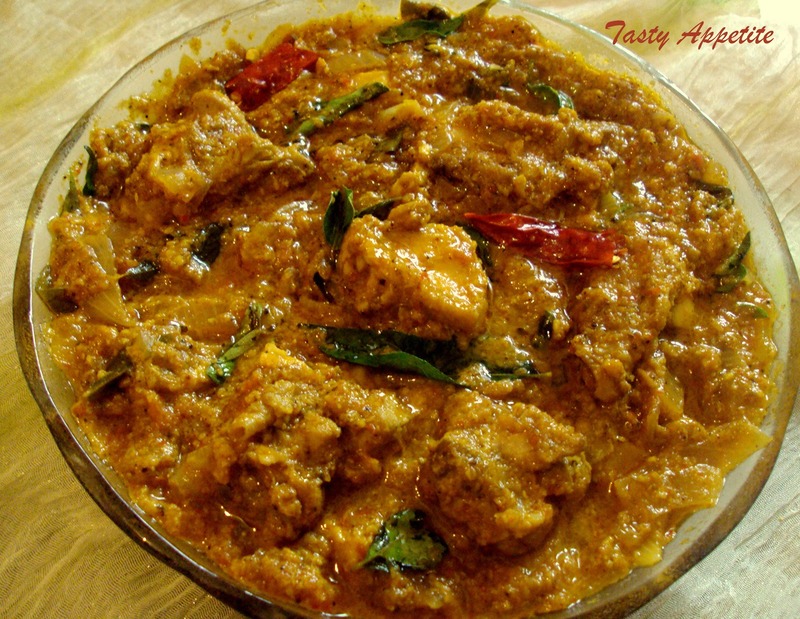 Chicken chettinad looks so spicy and delicious! Chicken curry is on my to-do list, so I'll definitely be trying this recipe out! chicken chettinad looks awesome delicious. wow this curry looks so inviting and delicious !! Congrats on your award!The curry look fingerlicking good. Slurp :) semma tempting jay.. Congrats on ur awards..
no words, looks so tempting..
Wow Jay, I love this a lot. Lovely and yummy recipe. chettinads are fave...once more: i will DEFINITELY TRY THIS!!! THANK YOU! How many cloves? They r not mentioned in ingredients list but r found in cooking process later. 3 to 4 cloves can be added for spicy flavor of this curry.